The Sexiest Story of Taxes and Marijuana: The History of Tax Code 280e by Will Yakowicz, Inc.
Former Justice Department Official: Pot Laws Are a Danger to Public Safety by Will Yankowicz, Inc.
Jeanne M. Sullivan – Advisor, Investor, Speaker is passionate about delivering ideas – information – and inspiration to entrepreneurs especially women (and a few good men) – and is a fierce advocate for entrepreneurs and changing the prohibition rules in the Cannabis industry. Let’s regulate it like alcohol. Jeanne is a co-founder of StarVest Partners, a venture capital firm in NYC and long time tech investor. Ms. Sullivan is a sought-after industry speaker on the subject of “how to get the wallets out of investors’ pocket” and on the “Experienced Economy” showing people of any age that they, too, can be an entrepreneur, taking next steps for a second and third “act”. 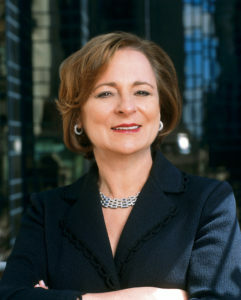 Jeanne serves on the board of the New York Venture Capital Association; is a member of the Women’s Leadership Board at the Harvard Kennedy School and is an Athena Entrepreneur Fellow for Barnard College. She also serves as advisor for many women-focused organizations that work to “fund and fuel” women entrepreneurs and is on the Global Board of Trustees of Astia, an organization that funds high-growth women entrepreneurs. Jeanne: It is a $5.4 billion legal industry. It is thrilling. There's such opportunity. This is a major multibillion dollar industry that women can dominate. Woman 1: I am an entrepreneur. Woman 2: Be inspired. We are incredibly powerful. Woman 3: Color outside the line. Woman 4: Open your mind. Woman 8: Our narrative needs to change. Woman 9: We can fix this. We can change this. Kelly: I'm Kelly Hoey, host of Broad Mic. I speak with the most accomplished entrepreneurs, investors and thought leaders about the issues that matter in building a business. You will get the inspiration, as well as the picks and shovels you need to become a better entrepreneur. Today, I'm in the studio with Jeanne Sullivan, longtime venture capital investor and co-founder of Starvest Partners. She is known for investing in technology enabled business services, but is now active as an investor and connector in the cannabis business. We're going to chat about why she started investing in cannabis and why she believes there is a massive business opportunity for women in this industry. Welcome, Jeanne Sullivan! Jeanne: Thank you, Kelly. I am delighted to be here. Kelly: Okay, this is gonna be, like, too much fun. All right, so let's talk...before pot, let's talk about your background. Your career in VC, how did this all start? Because you're like a, you know, cornerstone of the industry. Kelly: You've known me for too long. You know I'm not kind. Jeanne: Well, I am a geek inside and I am blessed with a curiosity for learning. Now, my very first life was in the advertising and marketing world, which is actually a great foundation, I believe, for being an investor, packaging companies and helping them articulate. But then I had a fabulous tour at AT&T and Bell Labs, and I just loved learning about technology, what makes things tick, how things work. Kelly: And Bell Labs, that's when you met our mutual friend [inaudible 00:02:18] Puyol [SP]. Jeanne: Totally. He and I work side-by-side in a fabulous entrepreneurial venture. We built hardware and software. And it's really part of my story and why I love empowering both girls and women, saying, "You can learn this stuff." Because when I was speaking to NASA scientists, that is thrilling that people taught me how the technology worked enough that I could position the product, hardware and software. And we had a great run. Kelly: That's amazing. So when did you start Starvest Partners and how did that come about? And for people who don't know, that was a woman-led VC firm. Jeanne: Well, first, the door was opened to me to join Olivetti, the great European company that truly understood that investing in U.S. technology companies was a good idea. All of our companies were on the west coast, Silicon Valley, and 128 Corridor in Boston. There were no companies here in New York. That was in the early '90s. And I was part of 40 early growth and expansion stage companies in technology and sat at the table with some of the great VCs. Wow, what an experience! And in '98, we founded Starvest. Having been through that, I felt emboldened, empowered, and four of us came together. We did not even realize that we were three women partners, and we had our one trophy male. We just came together because we liked each other, we understood and we each had some great backgrounds to bring to the table. Kelly: And just didn't even think about, "Oh, yeah, we're gonna do something radical here. We're gonna have a woman...you know, majority woman VC firm." You're like, "No, we just like working together." Jeanne: That's the fun of it. And then what happened, and this is part of the story I love to share, what happened was, I got involved with some of these women focused companies, organizations, helping to really promote high growth women-led companies, and was asked to speak. Well, why aren't there more women as VCs? Why aren't there more women as angel investors, women in the C-suite? And I started to become a student of the research and realized the numbers, how low they were. That access to capital is the number one issue for women-led companies. How we purchase more than 85% of household items and health care, clothes for our kids, clothes for our husbands, clothes for everybody and make these decisions, and I became appalled because I had to learn first that way that there really is gender bias, became appalled enough to say, "I have to do something about this." Kelly: I want to get in more about all of that as well, but before we get into all of that, I really need to know Jeanne Sullivan. What the heck prompted you to become an active investor in the cannabis business? And this is coming from a Canadian! Jeanne: Thank God for Justin Trudeau. So, I am truly taken by the intellectual, the moral, the technical and the economic issues, and it really started with John Sullivan, my husband, who is part of a really dynamic team that applied for a New York medical marijuana license. And I started meeting the people in the business, I started learning. And if you want to really cross over, Ethan Nadelmann is an amazing head of something called the Drug Policy Alliance here in New York City, and he has a TED talk that crossed me over. And in fact, let me have a little fun with you. In February of this year, I was in Denver and I went to deliver my opening line to 1,400 women building cannabis businesses, an amazing organization called Women Grow. Is that a cool name or what? And this is started by a 31 year old woman who's just dynamic, who has now founded 44 chapters across the U.S. and a few in Canada. So I stood on the Denver Opera stage and said, "Why is this non-stoner standing in front of you? It's because it's a human rights issue. It's a cheap excuse to arrest young black and Latino men and boys, and it's a civil rights issue and it's an economic issue." The crowd stood up, they cheered, they yelled for the rest of the lightning talk. And when they stood at the end, "I'm an opera lover." So I just pretended I was on a [inaudible 00:07:16] standing there, eating it all up. It was thrilling. Kelly: That is, like, amazing. So, your husband, medical marijuana license, this gets you into it because there's more than just, "Oh, gee! This is a new market opening up." There's all these other social issues. I want you to explain something for me. Okay, we're calling it cannabis. It's marijuana, it's pot. What's the deal with the name? What's the deal with the rebrand? Jeanne: The [inaudible 00:07:50] name is cannabis. That is actually the scientific name of the plant. And what has happened, in fact, many organizations and companies involved are absolutely moving away from marijuana. Because, guess what? That took on a pejorative overtone related to Mexican immigrants. Kelly: So I guess calling it cannabis makes it legitimate. Okay, got all that. So, you've talked about Women Grow, and there's 44 chapters, and there was 1,400 women there in Denver. Big overview, what is going on in the industry? Jeanne: This year alone it is a $5.4 billion legal industry. It is thrilling. There's such opportunity. And the reason I even mention Women Grow, is the team that put that together realized this is a major multi-billion dollar industry that women can dominate. Guess what? We are the ones who are consuming most of the edibles, and edibles are a big part of the business. We're the ones making a lot of the edibles. And we like the lotions and tinctures that, guess what, take away aches and pains. Plus, we care about the health and safety issues that are quite part of this fabulous plant. Kelly: That's amazing. So, how are you learning about the business? Kelly: They're so happy someone's stopping and talking to them. Jeanne: Yeah. They will tell you about the competition, if they're hiring, what's going on. It is just fascinating. So, I have now been to several major conferences. I'm proud that just last week I did another keynote at a major cannabis conference in Orlando. I'm giving the investor overview. And guess what? I am standing alone. There are plenty of bankers that are now moving into the industry. There's plenty of angel investors. But I don't see any classic VCs. I certainly don't see any women from our world. And so I am having a ball leveraging the early days of the Internet and technology of which I played in, to this new frontier. To answer your question on how I'm learning, not only the conferences, talking to everybody, I am meeting entrepreneurs. I'm part of a 500-person angel network. So I'm seeing deal after deal, after deal. I've now seen several hundred deals. And that's how you fill your brain; what's going on in biopharmaceuticals, what's going on in the edibles, what's going on in the infrastructure and agribusiness pieces. Kelly: Wow! Any of these conferences that whether you're keynoting or not, you'd say, "You know what, someone wants to get into this area, they should attend"? Jeanne: The must go to conference is the big one in Las Vegas in November. I was there last November. Five thousand people strong, half the room stoners and half business people in business outfits. So it's quite a mix. And then this very same group, and guess what, led by women called the MJ Business Conference, did the Orlando conference last week where I was asked to be a speaker. And guess what? Especially because it had women owners, half of the people speaking were women. They understand that. And I am so thrilled. And guess what? Women now are founding more than 38% of the businesses in cannabis. Kelly: That's awesome. That's awesome, I'm gonna say. If we're the ones who are, I'm gonna say, using the product, edibles or lotions or whatever, why aren't we the ones benefiting from it? That part, we can talk about that with all sorts of parts of the internet and mobile technology, where we are the consumers but we're not the creators. And so this is exciting to learn and also to know that there's very vocal organizations like Women Grow that are really encouraging women to take the lead in this completely new frontier. What would you advise a woman who was thinking about listening to this and thinking, "Oh, why don't I get into this?" What's your advice? Jeanne: Well, I believe you have to really get into the sandbox to learn. And so, the Women Grow, as one example, meets the first Thursday of every month in these 44 cities. And these are vibrant meetings. Not just networking, but well planned out authorities sitting in front of the room, discussing the issues. Because one thing I haven't mentioned, guess what? It's still federally illegal. Do you realize that it's still a cash business? Many of these companies have to pay their people in cash. They cannot get a bank account, or they get one and it's closed down. Go figure. So, in four years we expect the federal government to wake up and to understand what we understand, those of us playing, and it has a strong possibility of becoming legal in 2020. That's if, of course, the elections go the way we hope in November. Kelly: I was gonna say. So, explain this to me. Cannabis is legal in Denver, or in Colorado, but illegal federally. So if I had a cannabis business in Colorado, I'd be still doing a cash business? Jeanne: Here's what happens. Here's the landscape. There are 24 states now, and Pennsylvania was the most recent, signed off by their governor within the last 10 days, that have approved the Compassionate Care Act allowing medical marijuana. Four states have what's called adult-use. That's the proper term of art, not wreck. If you want to be cool, you're talking about cannabis and adult use. Those four states are pretty well known. It's Colorado, which is just amazing having been there, and it's quite funny, Oregon, the state of Washington, Alaska and the District of Columbia. But what happens is, you can't just open a business. You have to apply for a license. So, the real hope here is that we legalize it, we regulate it and we tax it. Colorado was able to deliver more than $135 million in tax revenue to the state. It is a $71 billion black market. Come on, federal government, let's legalize it. It's a plant. And let's turn this black market revenue into economic benefit, into jobs, into opportunity. Plus, we haven't even touched on the health benefits. Kelly: Can it be any worse than a casino or lottery, which they already allow us to do? Jeanne: How about alcohol and tobacco? Come on. And to take you there, guess who the acquirers will be? It might be the ones you're thinking about: tobacco, big pharma, big ag, by the way. There's huge infrastructure around, what are the soil? What are the lighting infrastructure? What's going on with that? I've seen incredible technology around that. But make no mistake, big alcohol is going to play. Because, guess what? It's elastic with alcohol. They have found that people are drinking less in Colorado, and they are staying home actually and smoking or vaping. Now, one other thing just to say, just to discuss the marketplace. Each state is like its own country on the regs [SP]. And, disappointingly, New York just has a pretty disastrous set of regulations. In fact, there is no flower - and by the way, that's the term of art for that bud - and there are no edibles. However, you can take the extractions and make edibles from that. Plus, in New York, they've made it very difficult for doctors to be able to be certified. They have to take a four-hour online course. That's not bad. And then patients have had a hard time figuring out what doctors to go to. In other states, this is wide open. So if you're gonna invest, I believe it's wise, and this is what I said last week in my keynote in Orlando, it's wise to come up with an investing strategy. Wouldn't that be smart? And here's kind of the binary look. You might touch the plant or invest in investments that touch the plant, and investments that don't touch the plant. So what does that mean? So, many people, and you really have to be smart and know what you're doing, invest in some of these grows. So, recall, I told you you have to get a license. So, the licenses do vary from state to state. In New York, by the way, it's total vertical integrated and only five companies were picked out of the 43 that applied. And in New York, the investment is to grow and to process, and then each license holder got four dispensaries. Isn't that interesting? Placed all around the state. Now that's only 20 dispensaries. New York has a population of 20 million people, so that's not enough, and there's real effort in the state of New York to have some new bills that will increase that. But, back to investing. Jeanne: That's probably what's needed. So, the infused products, that's the category, are about 12% to 14% of the marketplace. The consumption devices, vape pens and the ancillary products and services that don't touch the plant, that's about 20% of the market. And by the way, those vape pen companies are making huge top line revenue. You would not believe it. The biotech investments are around 14%. And then the agribusiness is about 12%. And as said, I have seen amazing agribusiness - some light sources capturing the sun, putting into fiber optics. There's some amazing...some lighting, LED lighting, halogen lighting, that's what you see at these conferences. I am fascinated by this. So it's very interesting on what's going on with these sector waitings [SP]. Kelly: This could just completely change the garden center at Home Depot. Jeanne: That's a good one. Kelly: Think about it. They've got everything there. They've got the lighting department. They've got plants, they've got it all there - soil. Heck! You transform Home Depot. Tell me about the other investors who are out there, and who's getting into this. I mean, I'm sure they're sharing the same concerns as you in terms of risk, legal, reputational, otherwise. Why like you? Is it the similar reasons? Do you have a profile of these people and why they're getting into this business? Jeanne: Well, I've been in the sandbox to really meet the other investors, learn from them, syndicate with them, because I believe it's really critical to be with the pros in order to know what you're doing. This is a very complex business. You already heard some of the issues. You lose your bank account. And by the way, many of them are not for profit, so there are unique vehicles that are being set up. There are some amazing law firms that have become big experts in how to structure the investments. A lot of times, because they're not for profit, you will not be able to make an equity investment. So there's a lot of convertible notes and debt offerings that are happening and a lot of restructuring of these companies in order to allow for an equity investment. So there's lots of issues around that. Yes, there is a stigma, because it's still federally illegal. I was with a well-known VC this week, he's on a public board. He said, "I'm interested, but I cannot invest directly." So there is definitely a stigma around that. Now, luckily, the Obama Administration supported what's called the Cole Memo, which will let states regulate and proceed with what they're doing with their own regulations around cannabis. And federal prosecutors still have wide discretion, but the Cole Memo makes it a low priority. So, yes, there's a lot of interesting things going on, and I'm seeing investors in two camps: Those who do diligence and those who do no diligence. It really is, Kelly, back to the early days of the Internet and of technology. And I told this story last week, which I think is really worthy. Back when Google first came out, most and many, even very capable venture capital firms, passed. But Kleiner and Sequoia took their wallet out because they knew that Larry and Sergey had something different in their platform. So what does that mean? It means, as an investor, you have to understand the landscape. You have to know what you're doing. And wouldn't it be great to co-invest with people much smarter and understand where the gaps are in the marketplace? So, does the world need yet another vape pen? Do they need another biopharmaceutical product, sublingual let's say, or lotion? Does it need yet another soil or nutrient for the soil? Maybe, because maybe that company has a unique unfair competitive advantage. So you do have to know what you're doing. And by the way, you can't ship these products across state lines. So guess what else you have to do? You have to go into another state and either license that product to another processor who has a legal license to operate, or pick up your footprint and put it down in another state and get a license to do business. So it's very complicated. Kelly: So how do you start a business like the cannabis business in a state when you can't have cannabis crossing state lines because you'd violate federal law? So if you're gonna start a cannabis business, say, I don't know, District of Columbia, how do the cannabis seeds get there in the first place to start the industry? Jeanne: Isn't that a don't ask, don't tell question? I have looked at a very fine, high end, I mean delicious chocolate product. It's a New Yorker, really cool guy, started it in Colorado. You have to have residency even to invest. So how do you like that? And you have to have residency to even get a license. So you have to do all the right things. But he has put together a great team. He's built a great product. But guess what? He can't ship it to another state. He has to figure out how to play in another state. So, this is just craziness. And I didn't even tell you, beside the issues you've already heard, there's a lot of not only legal but tax issues, something quirky called the 280e. You're not even allowed to deduct operating expenses. That all, the only thing you can deduct are cost of goods sold. So it changes the whole P&L too, believe me. Jeanne: You have...yes. So you have to know what you're doing. So, let's wake up, federal government, and make some changes here. Kelly: Yeah. Because, you know, you're fueling...I'd say a reluctance to deal with it is gonna fuel an industry in Canada, and continues to fuel violence in Mexico because we're not dealing with it. And let's all wake up, we like our cannabis. Jeanne: The sky has not fallen in Colorado and in these other legal adult-use states. And I mentioned Justin Trudeau earlier, he plans to absolutely legalize it for Canada. They are just so smart. Let's create jobs, opportunity, and as said earlier, legalize it, regulate it, tax it. Kelly: Absolutely, love it. Is there a difference...so you always...so you're the curious mind. From the beginning we've talked about this. Any difference in the due diligence for cannabis investments versus more traditional tech investments? Jeanne: You know, I really believe, because it is so complex, you better understand the legal and tax issues I just spoke of. You better have the right form and you better understand what's going on with some of the financial issues. Can your company you're about to invest in get a bank account or not? Have they paid their back taxes? Because of this issue on 280e, if you were talking to an entrepreneur and said, "Have you managed the 280e issues?" and they say, "What's that?" that's a real red flag that you better figure out and know what you're doing. So I really believe in understanding. In fact, as a long time tech investor, the way we use diligence is this: you want to understand every issue the day before you invest, not the day after. You don't want to be surprised on anything. And of course there's always issues, but you better understand them before you sign those documents. Kelly: Just really seems that in this area, because of all of these federal, state tax issues, the things you could have relied on before, "Oh, they've got a good law firm," "Oh, you know, this," you kind of need to dive in and not have that, "Oh, good, they're a [inaudible 00:27:03] corporation. We're fine." You've really got to take an extra level of diligence on these investments. Kelly: Besides just understanding the market. Not that this whole conversation hasn't been a heck of a lot of fun, but now we're gonna get to our Pay It Forward questions. We gonna go fast and dirty on these. Don't need to give any explanation. Just want to know about what you're thinking, reading, rituals, all that kind of good stuff. So, what are your primary sources of information? Jeanne: For me, it has always been, and still is, meeting with companies, learning the business from that CEO. I love that. I have such a curiosity for learning. And I am a voracious reader, so I try to read everything there is. I cover the New York Times every day because it's such an interesting treasure trove. But online, I love Medium and I love Cora [SP]. I get a kick out of Cora. Kelly: I bet there's some good Cora on cannabis. What book are you reading? Jeanne: The "Think and Grow Rich" book by Napoleon Hill, a true classic. Of course it's been updated but it's got inspirational and instructive messages, and I love that book. And because I am such a techie, and advising entrepreneurs and loving that, I'm a real follower around the lean startup techniques, and Eric Reeson [SP] and Steve Blank. So I think those are must reads. Kelly: Must reads. Awesome. Do you have any rituals or habits you swear by? Jeanne: I wake up early. I've never slept past 8:00 a.m. in my whole life, because I think there's too much to do in the day, too much to accomplish. I make my bed the second I get up. You know why? That makes me feel organized. And I pride myself on being organized, so I like processes, like processes to pay your bills or processes to accomplish something. Anything that's routine, I automate. Jeanne: Get some cannabis, fast. Kelly: Get some cannabis into you immediately. Okay, got it. Who are three entrepreneurs or leaders you follow or admire? Jeanne: I have to say I'm cheating a little bit on this one because I believe in a whole class of entrepreneurs that I am in awe of, especially because I am a fierce advocate for women. I have met unbelievable women who push through such troubles and hardships and money and struggles and they can't get access to capital or they can't find that co-founder, CTO, and I am blown away by these people who drive them forward. Kelly: Amazing. What's the best advice you've ever received? Jeanne: The best advice is something that I like to give out too, that you will keep getting the lessons until you learn them. Let's say you're poor at money management. Well, you don't have to worry about that once you figure out how to manage your money. So I love both reminding myself of my own advice and giving that out. Kelly: Very good advice. We've dispelled a lot of myths today, but are there any other particular myths you'd like to dispel for our listeners? Jeanne: So, I'm often guiding young people, and I've absolutely changed my mind about what they should do upon graduation. I used to think you had to have a best practice, big company or a firm, and I no longer believe that. That's what we did, we went to the big companies or firms to learn how to do it. And I see so many young people, wonderful millennials, not making those choices. And guess what? They're thriving. And they don't suffer at a job like we may have, they do find the next one. And so, my really words of wisdom around that is, life is short, and happiness is such a critical element. So, I don't believe in being unhappy for more than 48 hours. Make change, professionally, if it's not feeding one's soul. Kelly: Awesome advice. What words of advice would you give to listeners about taking risks and closing the confidence gap? Jeanne: I think it's really important to do things that are very gutsy, and that builds confidence. Kelly: Can you name one female entrepreneur who is below the radar that we should know about? Jeanne: In the last year I've met this unbelievable Asian woman named Jing Shou. She's building a company called Elemoon. Oh, my golly. It's a flexible computer. Kelly: Amazing. And what does "think broad" mean to you? Jeanne: To me, it means expand your brain, keep that curiosity for learning, and then do everything possible to help empower, fund, connect, advise and lift up other women. Kelly: Thank you for listening to Broad Mic. We welcome your feedback. Find us on Facebook, where you will have show notes and additional references for a deeper dive into today's topic. Subscribe on iTunes so you never miss an episode. Please review our podcast on iTunes, which will help other listeners discover Broad Mic and grow the Broad Mic community. Broad Mic is produced by Christy Mirabal, with editing by John Marshall Media. Our executive producer is Sara Weinheimer. Think broad.